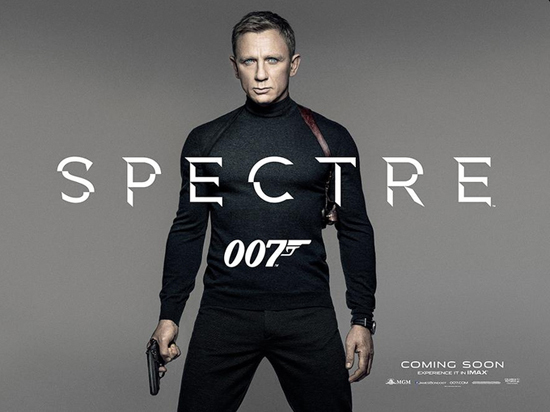 James Bond has made good on his promise to return and is now back in Spectre, the longest Bond film to date. The 24th film in the Bond franchise finally pits him against the “author of all his pain,” the ominous shadow organization known as Spectre. Daniel Craig once again steps into the role of the world's most famous secret agent James Bond 007. For the filmmakers it was a real challenge to follow up the 1.1 billion global smash hit “Skyfall” with a story that would hold up, and possibly even surpass its predecessor. Mr. Bond himself, Daniel Craig, however, wanted the film to be simply better than Skyfall, a difficult task, but not impossible as it turns out. Spectre often relies on proven formulas yet delivers a strong story, perhaps the strongest story to date in a Bond film. A cryptic message sends Bond on a rogue mission to Mexico just when M (Ralph Fiennes) is facing increased scrutiny by the new head of the Centre for National Security, Max Denbigh (Andrew Scott) who questions Bond's actions and intends to shut down Mi6 und ultimately the 00 program. Bond's intelligence leads him to Rome where he successfully infiltrates a meeting and uncovers the mysterious shadow organization known as Spectre. With the help of Moneypenny (Naomie Harris) and Q (Ben Whishaw) he seeks out Madeleine Swann (Léa Seydoux), daughter of Mr. White (Jesper Christensen) who may hold the clue to unravel the secret of Spectre. 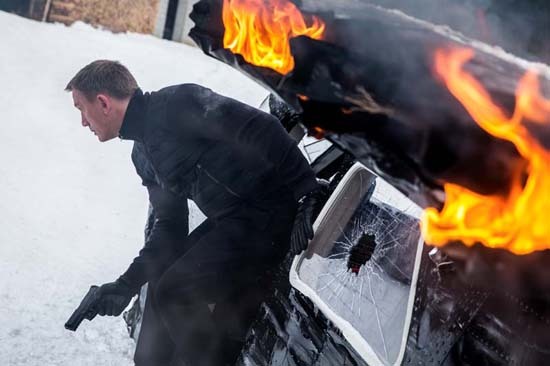 While Spectre provides less psychological insight into Bond's character than its predecessor, it delivers what audiences have come to expect from a Bond movie: beautiful locations and intense action. There is an impressive pre-title opening sequence in Mexico, shot during the Day of the Dead celebration, followed by a highspeed car chase through streets of Rome, and an epic action sequence in the Austrian Alps. In spite of its length Spectre moves fast, yet allows for sufficient time to develop the characters, including Bond's mysterious past. Bond's relationships with Q and Moneypenny deepen and throughout the story it becomes a fundamental question as to whom he can trust. While Bond questions the loyalty of his allies, he must face off against an iconic villain beautifully played by Christoph Waltz. Director Sam Mendes doesn't fail to impress which becomes immediately evident during the first few minutes of the film, which is shown in one single, epic shot! Due to high production costs Spectre is under pressure to bring in box office gold, which given the UK numbers, where the film opened early, shouldn't be a problem. About The Author: Harold Schossman is our International News Corespondent and our resident Expert Videographer. He has worked in the entertainment industry for almost two decades. Be sure to check out his outstanding video work on his YouTube account.